There have been quite a few different recalls of food products for possible Listeria monocytogenes food poisoning this week. 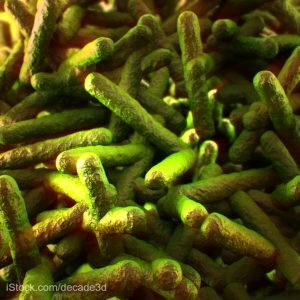 A huge recall of 42 brand names of frozen foods produced by CRF Frozen Foods was prompted by a Listeria monocytogenes outbreak that has sickened at least 8 people in 3 states. And a major supplier is recalling their sunflower seeds for possible Listeria contamination, triggering a wave of secondary recalls that could go on for days. Some of those products were sold under the brand names Planters, Market District, Kroger, and TreeHouse Foods, which includes Roundy, Meijer, HyVee, and Our Family, among others. To protect yourself and your family, the first thing to do is to keep informed. Check back with our site; we try to get recalls posted as soon as they are issued. Note the name of the products and identifying information, such as the UPC number, lot number, “best by” dates, and the states where the products were sold. This information can be complicated, so take your time and make sure the information you have is correct and complete. Most of these recalled products were sold throughout the country. If you did purchase any of these recalled products, there are some steps to take. First get a calendar and write down who ate the product and the approximate date. You do have to keep track for the next 70 days, monitoring everyone to see if they start exhibiting the symptoms of listeriosis, the illness caused by this bacteria. It is important to stay alert for 70 days, but if someone is going to get sick, the illness will most often begin within three weeks. Second, find the product and get it out of your house. You can throw the product or products away in a sealed container so other people and animals can’t eat it, or you can return it to the place of purchase for a refund. Wash your hands well after handling these products. We don’t know if the bacteria could be on the package, or if the product you bought was even contaminated in the first place. Many of these recalls are “out of an abundance of caution,” to protect the public. 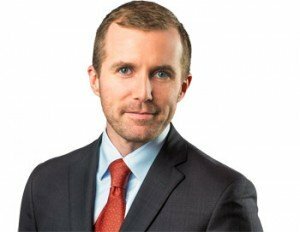 Attorney Brendan Flaherty has represented clients sickened by Listeria monocytogenes bacteria. Call him at 1-888-377-8900. Third, clean out the cupboard, refrigerator, freezer, drawer, or any place the recalled product was stored. You should use a mild bleach solution of one tablespoon liquid chlorine bleach to one gallon of warm water. Wash thoroughly, including any unopened packages on the same shelf. Do not wash off opened packages with a bleach solution; it’s better to just throw them away. Then rinse off the shelf and wash your hands again. Remember to sanitize cutting boards, utensils, or any plates or bowls that may have come into contact with the recalled products. Hot water and soap, followed by that mild bleach solution, then a good rinse, is in order. Wash your hands again. The symptoms of listeriosis include flu-like fever and muscle aches, upset stomach or diarrhea, stiff neck, headache, loss of balance, and confusion. If you or anyone in your family does experience these symptoms, see your doctor and tell her about this recall. Pregnant women need to be very vigilant, since listeriosis can cause miscarriage, stillbirth, and premature labor. Some doctors give their patients prophylactic doses of antibiotics if they are sure they ate recalled foods. Talk to your doctor if you are concerned to get the best advice for you. And try not to panic. The odds are very good that you will not get sick, nor will anyone in your family. Just stay aware and feel better, knowing that you have taken control of the situation.